A Virginia man, who was pulled over last August on misdemeanor charges and kept in jail for three months, has filed a class-action lawsuit against the Culpeper County sheriff, claiming the official's practice of holding suspected undocumented immigrants in jail after their release dates is unconstitutional. WASHINGTON — A Virginia man, who was pulled over last August on misdemeanor charges and kept in jail for three months, has filed a class-action lawsuit against the Culpeper County sheriff, claiming the official’s practice of holding suspected undocumented immigrants in jail after their release dates is unconstitutional. The case involves Sheriff Scott Jenkins’ policy of honoring requests from U.S. Immigration and Customs Enforcement agents to temporarily hold immigrants in custody. The lawsuit claims the sheriff who runs the county jail refused to release prisoners who had ICE detainers placed against them — even if a judge had ordered them to be released and even if friends and family members sought to pay the prisoner’s bail. The lawsuit was filed by the Legal Aid Justice Center and Victor M. Glasberg, a civil rights attorney. Francisco Guardado Rios, the man at the center of the lawsuit, was locked up in the Culpeper County jail last August after he was arrested for driving without a license and contributing to the delinquency of a minor. (His lawyer told WTOP the second charge stemmed from the fact that Guardado Rios, who is in his 30s, was with his 17-year-old cousin and there was beer in the car). Both charges are misdemeanors in Virginia. Hours after his initial arrest, Guardado Rios was ordered released from jail on a $1,000 bail. Meanwhile, ICE had lodged a detainer against him, and when his friend showed up to pay his bail, the friend was told it wouldn’t matter: Guardado Rios would remain in jail, regardless, because Jenkins had a policy of refusing to release prisoners with ICE detainers, the lawsuit claims. A spokesman for the Culpeper County Sheriff’s Office did not immediately respond to a request for comment from WTOP. Guardado Rios stayed locked up for nearly three months. At his Nov. 7 trial, he was convicted of contributing to the delinquency of a minor and sentenced to 10 days in jail. But because he had already served far more time than that before his trial, the court ordered him released immediately. However, the lawsuit claims Jenkins held Guardado Rios for two more days — because of the ICE detainer — and then had him transferred to the custody of federal immigration authorities. The lawsuit claims Guardado Rios’ “prolonged detention” violated his due process rights under the U.S. Constitution and also constituted false imprisonment under Virginia common law. His lawyers said Guardado Rios suffered emotional distress and also lost the opportunity to return home to arrange his affairs before being taken into custody by ICE. The suit seeks to have a judge declare the sheriff’s policy of holding people past their release dates as unlawful and also seeks damages. In addition, the class action suit includes additional plaintiffs who were held at the Culpeper County jail past their release dates on ICE detainers. Citing a database of federal data maintained by Syracuse University, the lawsuit claims Jenkins held nearly 100 prisoners at the county jail past their release dates on ICE detainers in 2017 and 2018. The practice of local law enforcement officials cooperating with federal immigration authorities is controversial. 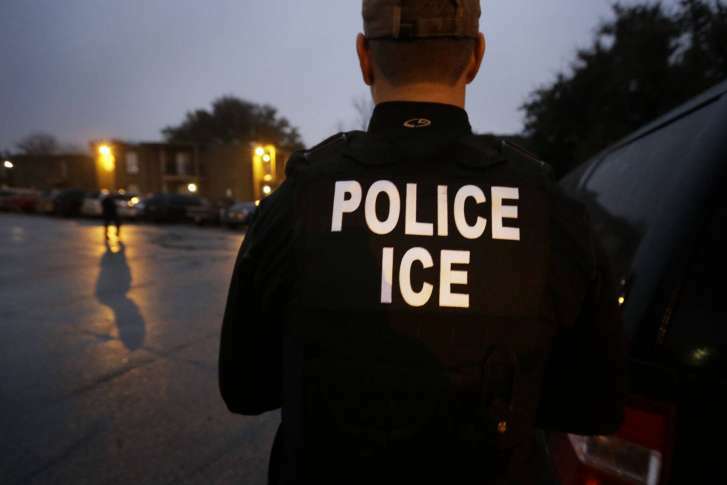 The ICE detainers and similar ICE “arrest warrants” are only requests to local officials to hold prisoners and are not signed off on by a judge, activists have long pointed out. In 2015, Virginia Attorney General Mark Herring issued a nonbinding opinion saying local authorities did not have to cooperate with ICE and should release prisoners when they are eligible whether or not ICE has requested a detainer. In April, the Culpeper County Sheriff’s Office signed an agreement with ICE that allows sheriff deputies in the county to enforce federal civil immigration laws. The lawsuit deals with prisoners who were held past their release dates before that agreement went into place.